WESTFIELD, Massachusetts – September 7, 2018 – (ArmsVault.com) – Savage appreciates the sacrifices made every day by the countless men and women who protect and serve our communities. In support of all they do and have done, the popular firearms company is now offering discounted pricing to all active duty, veteran and retired military, first responders and law enforcement personnel. 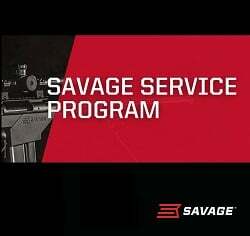 The Savage Service Program is available to the individuals with approved purchaser credentials. This includes Federal, State, County and City Law Enforcement (LE) officers; EMT’s, Fire Fighters, Volunteer Fire Fighters, and Paramedics; Military personnel, active, retired and veterans, including Reservists and National Guard; Corrections Officers, including Parole and Probation Officers; State Licensed Armed Security Officers Employed by State Licensed Security Companies; Commercial Pilots and Federal Flight Deck Officers; Court Judges; and LE Academy Cadets.